A Chillicothe resident, 93-year-old Doris Ethel Reeter died Sunday, February 10. 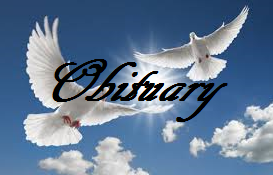 A graveside service will be held at Brassfield Cemetery in Chillicothe on Thursday, February 14 at 3:30 p.m. There is no scheduled visitation. Friends may call at Lindley Funeral Home in Chillicothe the day prior on Wednesday from 9 a.m. – 5 p.m. Memorial contributions may be made to Brassfield Cemetery and may be left at or mailed to Lindley Funeral Home. Arrangements are under the direction of Lindley Funeral Home in Chillicothe.